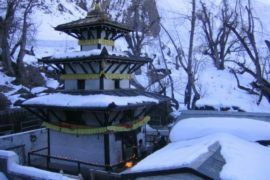 Muktinath Temple Tur , a competent & professional local guide, group of experts supervise and run as an admirable travel Agency in Nepal. Explore and enjoy you holiday, Yatra or business trip with our support, our experienced team will give you a unique experience of reliability, professionalism, promptness and of course a experience of well-known Nepalese lifestyle: a smile and our traditional greeting with folded hands: Namaste, welcome! Our objectives are service quality combined with best price for you. Try us – we won’t disappoint you!